In late 2013, new evidence from the auctioned off x-rays of Marilyn Monroe’s skull and medical reports revealed that the eternal star had indeed undergone plastic surgery. Most of her fans refuse to believe this even now. However, scientific proof can barely be wrong. It is no secret that Miss Monroe had a few tweeks done to her appearance in order to succeed in showbiz. But for years, there has been no conclusive proof and her fans had refused to acknowledge the rumors. There have been many debates on the topic, until the Beverly Hills auction revealed medical records that prove surgery to her chin and nose. This revelation comes after 50 years of Monroe’s death. For almost two decades, these x-rays were locked up in the office of Norman Leaf, a Los Angeles plastic surgeon who inherited them on the retirement of Gurdin, his medical partner. Marilyn had been Gurdin’s patient. 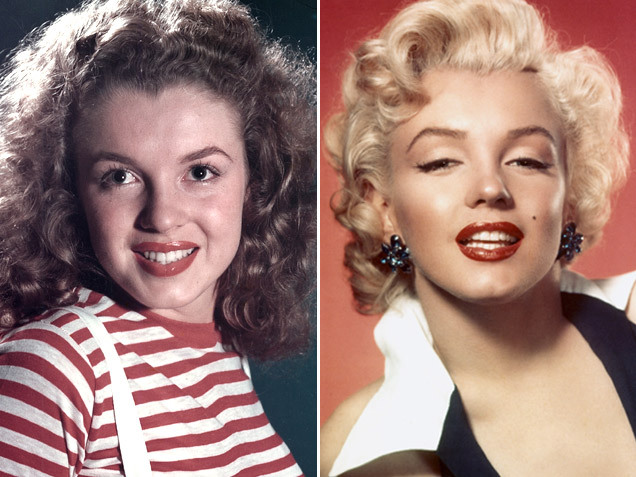 Despite the evidence, the story of Marilyn Monroe plastic surgery is still a little fuzzy. It is believed to have begun in 1949 or 1950. Monroe was a struggling actress when she overheard someone referring to her as a “chinless wonder”. This prompted her to consult John Pangman, a surgeon who found a mild flatness on her chin and he altered it with cartilage grafts. In 1958, Marilyn showed up at Gurdin’s office with a fake name – actually her husband Arthur Miller’s last name – for cover. This was for an evaluation of her earlier procedure which apparently used bovine or cow cartilage for the graft as semi-soft silicone had not yet become standard. By her 2nd visit to the plastic surgeon, her skin implants had already dissolved and all that was left was a scar. There is no record of whether the graft was replaced. As for the nose job, there are no records to prove that too. However, Dr. Leaf claims that Gurdin has confided in strict confidence about the refining of Marilyn’s nasal tip. He apparently, did this procedure in partnership with Pangman. However, there is proof for a visit to Gurdin’s office in 1962, after Monroe suffered a nasty fall that left her nose bruised and swelled up.